Designed for the discerning traveler, Mateya Safari Lodge offers a graceful union of superlative luxury in a spectacular setting. 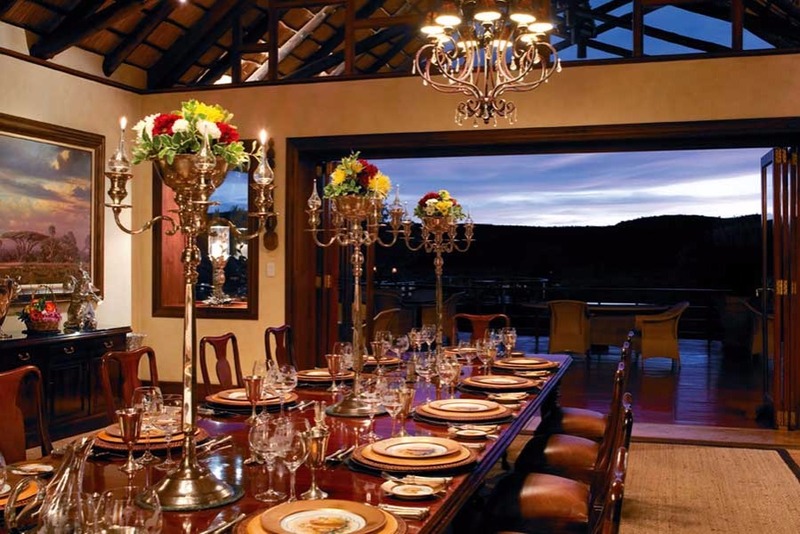 The Lodge caters to a maximum of ten guests and, as such, you are assured absolute exclusivity, privacy, and the very highest standard of personal attention at all times. 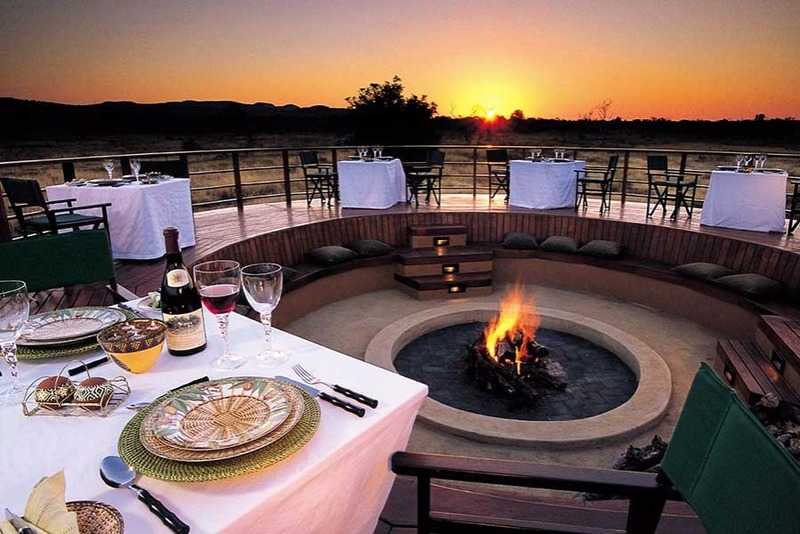 Nestled in the rocky outcrop of the Gabbros Hills, guests enjoy elevated and uninterrupted views of the magnificent malaria-free Madikwe Game Reserve. As part of the Lodge’s commitment to give back to the community, it is a proud supporter of the local Molatedi School, and pleased to be a member of Pack for a Purpose. The latter is a programme that allows guests to make an impact by donating supplies. If you are searching for a truly unforgettable safari experience, then welcome to Mateya! 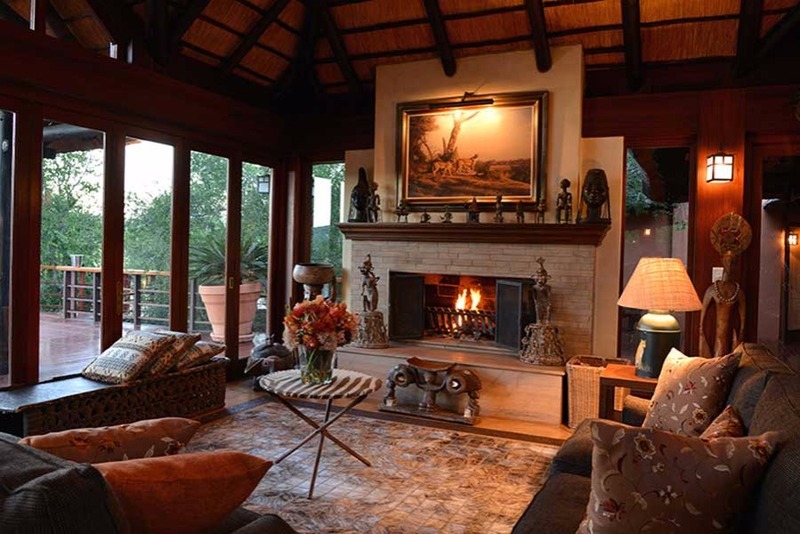 The Mateya Safari Lodge is one of the most prestigious lodges of its kind in the world and certainly one of the most exclusive in Southern Africa. Located in the spectacular 75,000 hectare Madikwe Game Reserve, Mateya is the ultimate compliment of exquisite architectural design and comfort enhanced by the splendor of a pristine African setting. - a 25% deposit for the total accommodation is required 1-14 days after making the booking. A non-refundable deposit of 25% required for all reservations made between 20 December and 01 January in any given year. - Should a cancellation be received 61 days prior to arrival, the deposit will be refunded in full unless the reservation falls between 20 December and 01 January, in which case the deposit is non refundable. - The minimum age for children accepted at Mateya Safari Lodge is 9 years of age, if all 5 suites are booked, all ages are accepted. 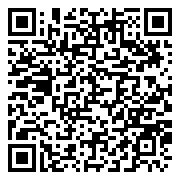 - Arrival and departure times and method of transport must please be advised prior to arrival. 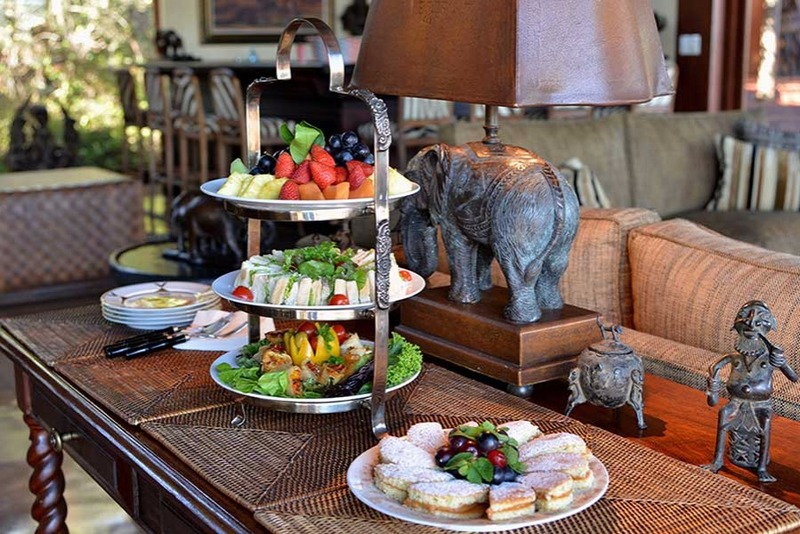 - Please advise us of any dietary requirements prior to arrival at the lodge. * Inclusive of all meals, teas & caffees, game drive and bush walks, local beverages, house wines, laundry, internet usage, reserve gate entrace fee, landing fees, levies and transfer from Madikwe Airstrip to Mateya. Guests with a thirst for a unique blend of beauty and culture will be inspired by every corner of the continent. Starting with one of the world’s finest collections of African art, and then a rare collection of African literature dating back to the 19th century. Mateya’s health spa offers a complete range of full-body therapies that promise to blissfully unwind the mind and rejuvenate the body. Whether it’s a revitalizing facial or reflexology or one of the signature massages, an experienced therapist is ready for you. A fully equipped gym is also available at all times. Mateya Safari Lodge invites you to a royal feast where palates are taken on a gastronomic adventure filled with African fusion. And with 8,000 bottles of fine local and rare French wines and champagnes in the cellar, you will find a perfect partner for this journey of indulgence. Special requests and dietary requirements will be catered for with culinary creativity and skill. Madikwe Game Reserve is home to the Super Seven: Buffalo, Cheetah, Elephant, Leopard, Lion, black and white Rhino, and Wild Dog. In addition there are 350 species of birdlife. Given the plethora of both flora and fauna, game drives are the highlight of any excursion to this exciting part of South Africa. A professional field guide and a tracker host every outing. 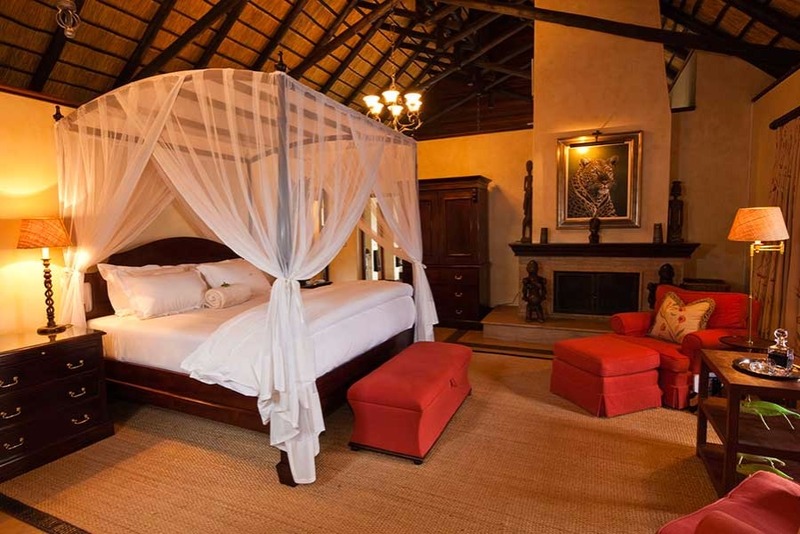 The lodge consists of five individually designed luxury air-conditioned thatched suites. 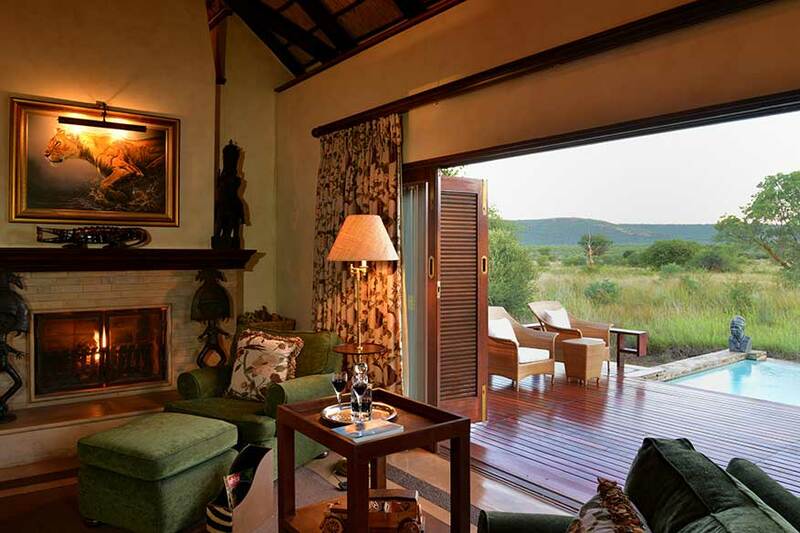 Each suite blends with its natural surroundings and offers uninterrupted views of the waterhole and plains. Guests can enjoy a balance of sophistication and comfort, in total privacy and harmony with nature, savouring the rare pleasure of their very own secluded slice of Africa. invites you to luxuriate in a sensual setting that is designed to satisfy your ultimate enjoyment. The ambience of a fresh and clear night is warmed by the heat from the custom-designed fireplace, and as you settle down to admire the myriad of stars speckling the sky, the whispering breeze utters magical words that speak of tomorrow’s promise. You may want to marvel at the canopy of stars on a clear night, whilst dining outdoors. For a wild culinary experience, submerge yourself in the glory of the African night skies as you dine beneath the clear glow of a galaxy of stars while the roar of an open-air fire core ensures your comfort. Mateya will invite you to a royal feast and a demonstration of expert culinary skills. With the freshest produce offered straight from the earth and the finest cuisine you will find your palate transported on a journey of African fusion and gastronomic delight. The Mateya wine cellar is also available for private dining, offering a more distinctly elegant setting. And for a spectacular view of the plains, both the glasswalled main dining room and lounge deck afford uninterrupted panoramas of the reserve. Of course, bush picnic lunches are available on request and on all guided walking safaris. Lingering flavours of the palate may be sampled from the extensive assortment of wines housed in the cool atmosphere of the Mateya Cellar.An impressive collection of both esteemed local and rare French wines and champagnes make up the cellar’s 8 000 bottles of indulgence that lie chaste, waiting to be hand picked by Mateya guests as an accompaniment to their dining. Select a brandy, a cognac or a single malt wiskey with a cigar from our humidor as the perfect conclusion to a pristine Mateya dining experience. When business calls guests have the facility to host meetings in the unique Mateya Bush Boardroom. A business ‘pow wow’ in the heart of the African bush, with the magnificent scenery of Mateya Safari Lodge all around, is sure to inspire creative and lateral thought. Full Internet and email facilities are available in our Bush Boardroom. WellnessTo bring home the renewing ambience of Mateya and the majesty of the setting, guests can be treated to a full range of pleasurable and rejuvenating body treatments by a dedicated health therapist. Relish a relaxing moment in the warm bubbles of our luxurious Jacuzzi or give way to the energetic call of the wilderness by making use of our personalised gym. Feel the freedom to take a healthy breath of Mateya magic, restoring your mind, body and soul. 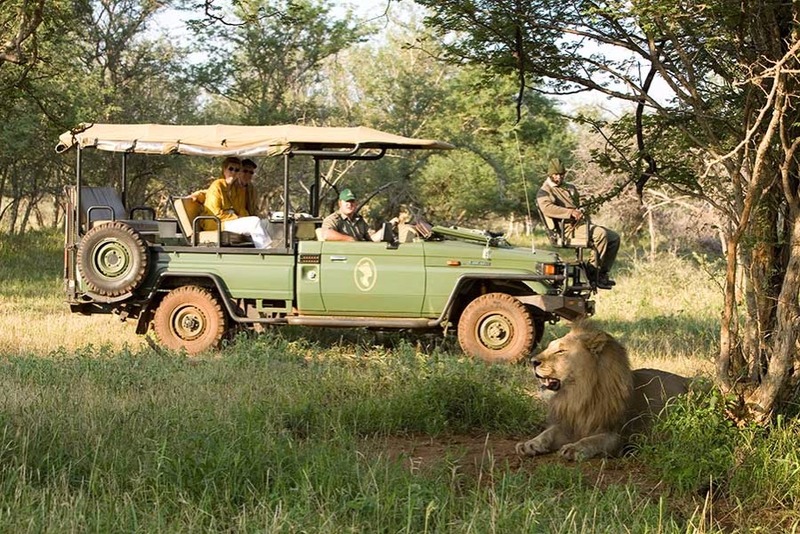 Tackling the African bush in custom-built 4×4 game drive vehicles offer guests the thrill of getting close to game and tracking over vast distances. With a maximum of four guests per drive each guest is assured the personal care and attention of our rangers who will introduce you to the intricate and wonderful features of the reserve. 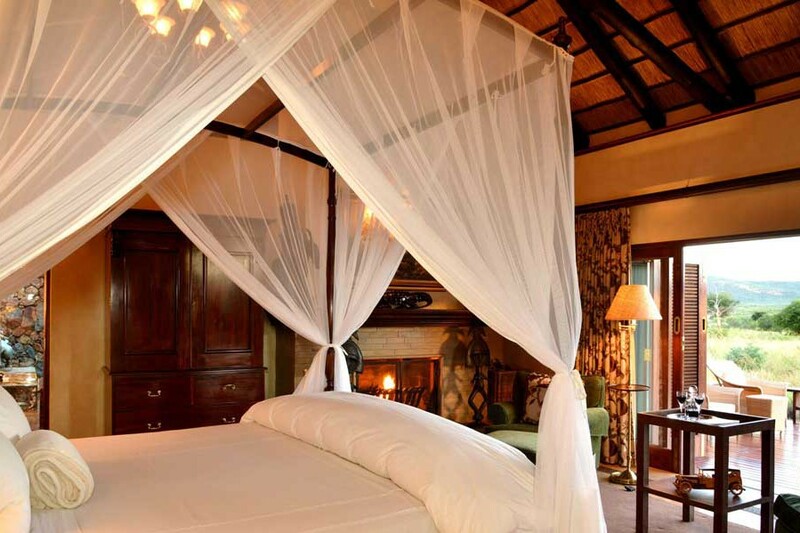 Luxury Suites - Five luxury suites have been designed in harmony with the natural surroundings. Savour your very own slice of Africa in sophisticated comfort surrounded by original artworks and handcrafted mahogany furnishings. 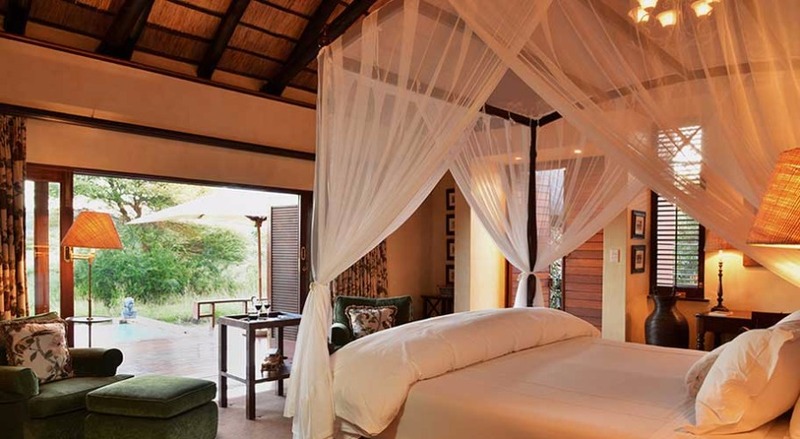 Five luxury suites have been designed in harmony with the natural surroundings. Savour your very own slice of Africa in sophisticated comfort surrounded by original artworks and handcrafted mahogany furnishings. 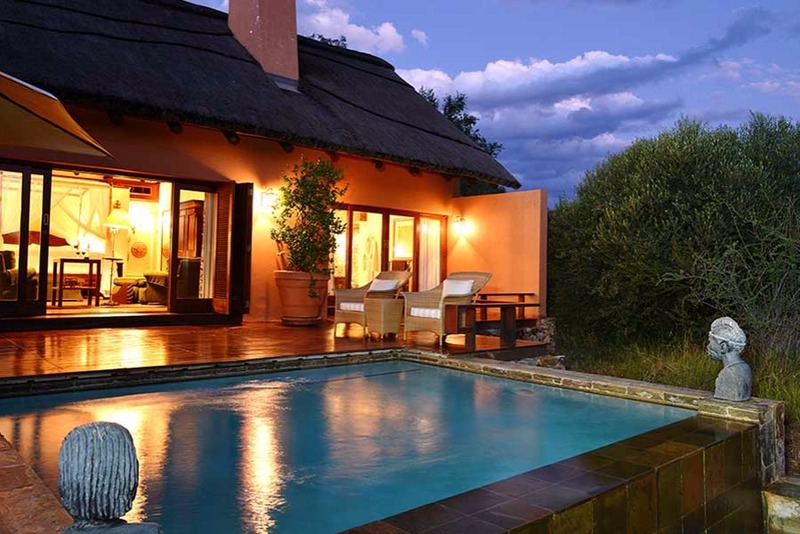 Luxury Suites Exclusive Use - Five luxury suites have been designed in harmony with the natural surroundings. Savour your very own slice of Africa in sophisticated comfort surrounded by original artworks and handcrafted mahogany furnishings. 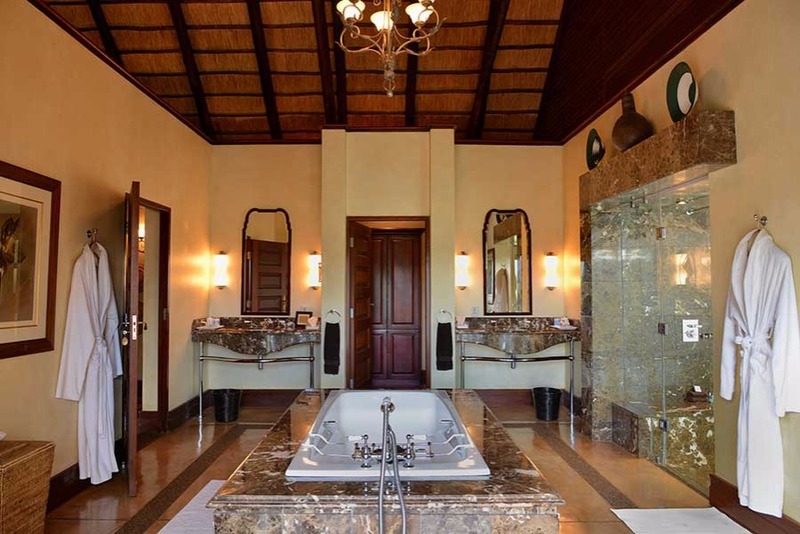 Luxury Suites Double - Five luxury suites have been designed in harmony with the natural surroundings. 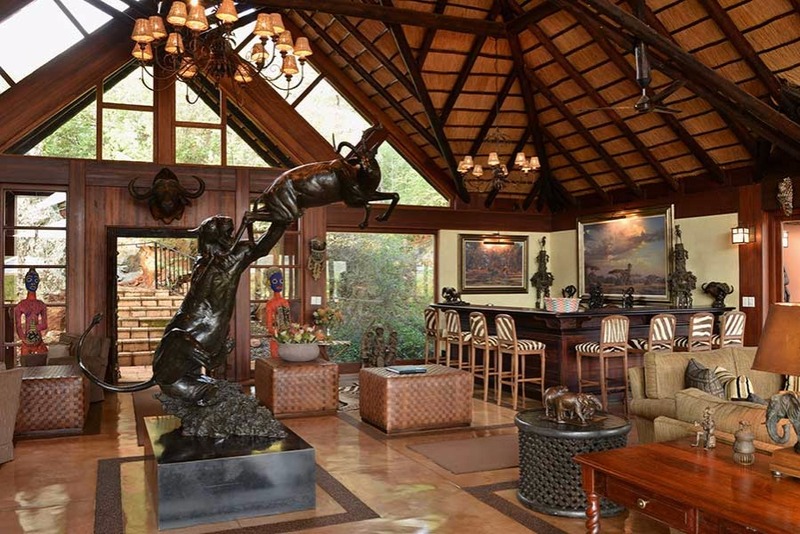 Savour your very own slice of Africa in sophisticated comfort surrounded by original artworks and handcrafted mahogany furnishings.